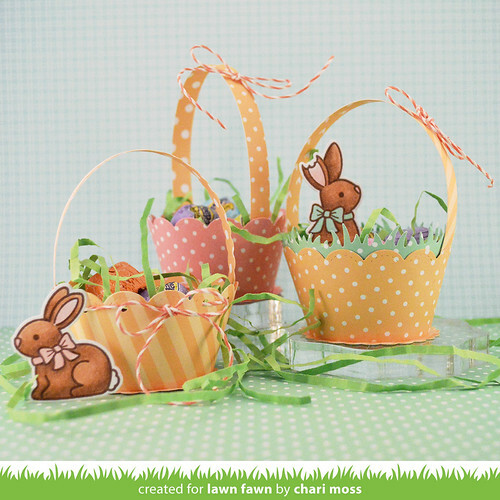 Today I am sharing a project video over on the Lawn Fawn blog showing how to make these cute little easter baskets from the cupcake wrapper dies. You can check out the video on the Lawn Fawn blog HERE or on the youtube channel HERE. I saw this video the other day and it is so, so cute. Happy 5th Birthday Lawn Fawn!